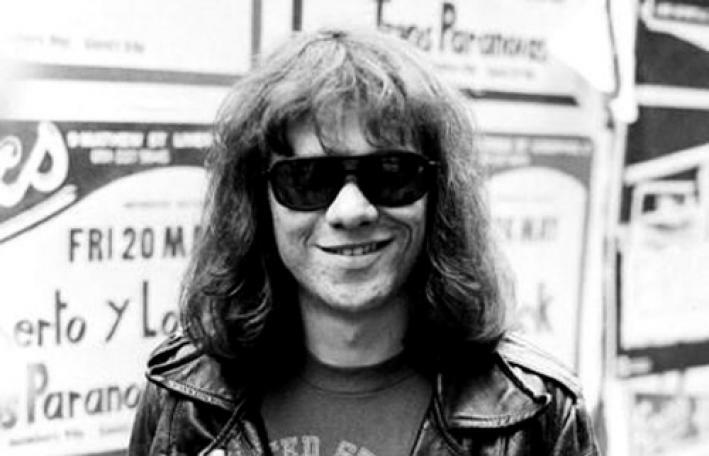 THE DARK VAULT OF PUBLIC DOMAIN mourns the death of the last of the original RAMONES – Tommy Ramone. Tommy passed away Friday, July 11, from cancer. At least he was around for one more Uncle Pete Show before he checked out. Cancer was also the cause of death for Joey and Johnny, so it seems that being a Ramone may be carcinogenic. Tommy set the beat for the explosion of the Ramones on their first 3 albums and the double album – It’s Alive as well as helped produce The Ramones after he passed the sticks to Marky. Our deepest sympathy and condolences go out to all Tommy’s family and friends. The original line-up of the greatest Rock and Roll band ever is now gone. But their music will live on, even in places where people don’t realize it. Rest in peace, Tommy. Ya done good while you were here! ~ by UNCLE PETE on July 14, 2014.